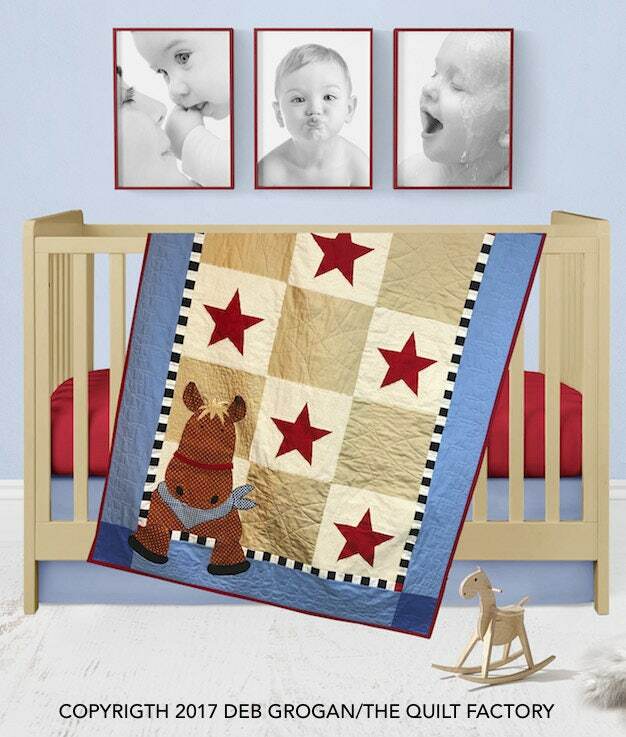 Henry Horse is an adorable quilt perfect for baby. Dimensional ears add a fun element to this quilt, a must have for any baby. 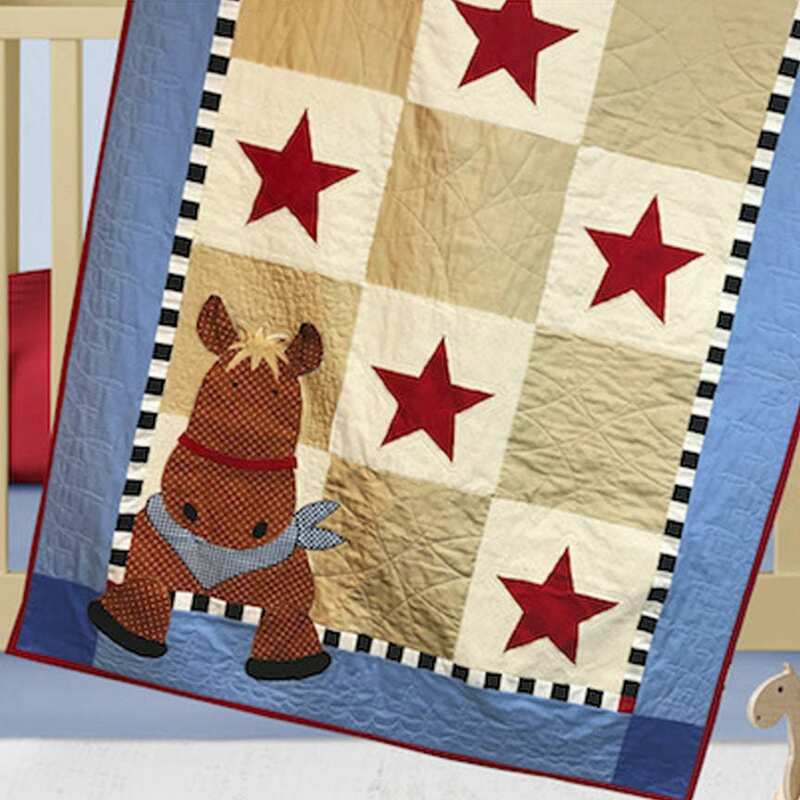 An easy to piece & appliqué quilt pattern including instructions & templates. The sample quilt was made with Maywood Basic Solids & Dots Fabric. 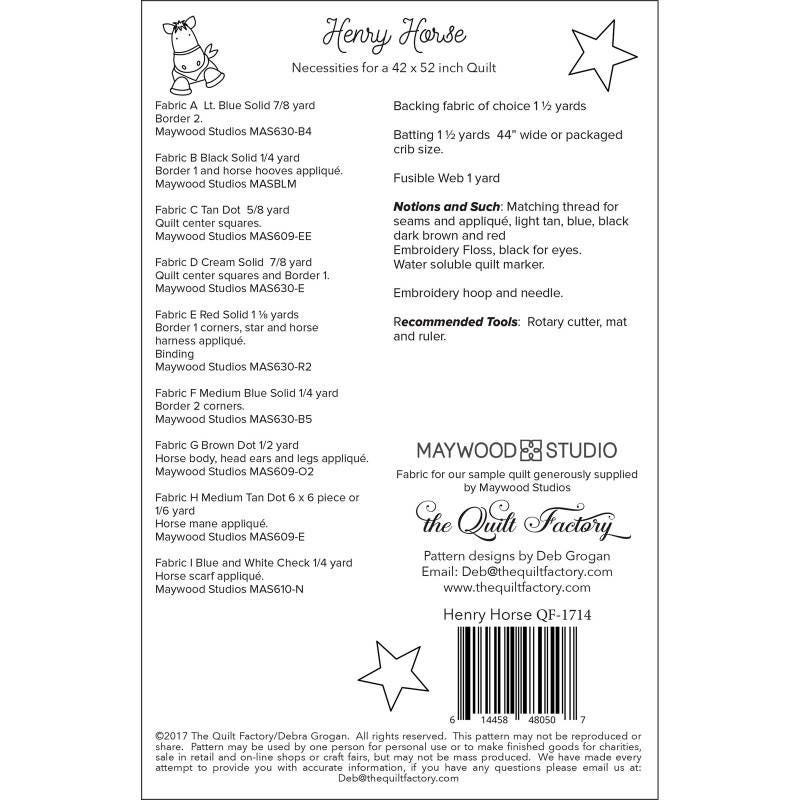 Fabric, batting & backing requirements listed on the pattern. Matching thread for seams & appliqué, black, light tan, blue dark brown & red. Embroidery Floss, black for eyes.